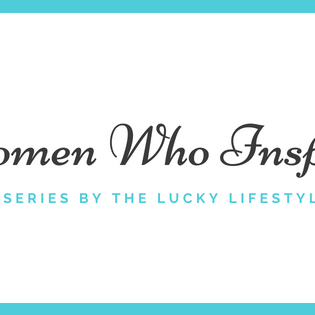 Today is so special and exciting because it's time to reveal our second profile in the Women Who Inspire series! 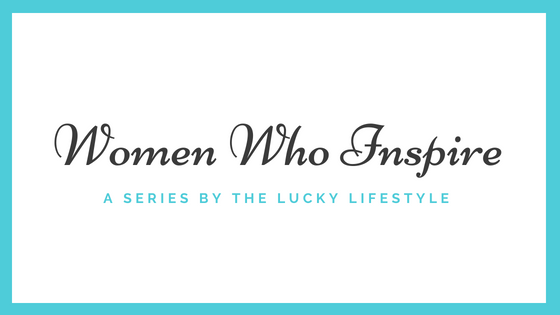 September's spotlight shines on a truly extraordinary woman. 1. Let's start with the basics! Tell us a little bit about yourself -- where you call home, what you do for a living, and who makes up your family. Hello! I live in Lancaster County, PA. My husband and I talk about moving back to New England at least once a day, but I really love being close to my mom and having her participate in my kids' childhoods- and I have made so many great friends and connections here over the years! I am in my 14th year working as a gallery publicist and curator for a local art gallery here in Lancaster. I also hold the coveted, exhausting, glorious position of being a mom. My husband Richy and I have been together since we were 19 years old, and we have grown quite the little family for ourselves. Ben is 10, Nathaniel is 9, Ethan is 7, and Ellie is 1 1/2. Our daughter Madeline would be turning 12 this winter, but died just before birth. 2. In your current role, you're a publicist for an art studio. Can you share with us what your job entails, and what your career path has looked like thus far? I have always been in love with art and writing, and am so lucky to have a career that involves both. As a curator, I get to seek out artists that move and inspire me. As a publicist, I get to interview the artists and write press releases and articles for them. I also get to coordinate arts events, like a large scale scavenger hunt through the west side of the arts district in our city. I thrive when I am able to be creative and work with the community, so that part is always fun. The very best part of the gig, though, is that for the past few years I have been able to do it entirely from home. It has allowed me to be a stay at home mom while keeping my foot in the door and my brain engaged in a career that I love. Some days (most days... ok, all of the days) I worry that I am only doing a mediocre job at both parenting and work because I am trying to do both simultaneously, but I think that I would still be questioning my abilities even if I had more concrete boundaries between the two. And I just try to remind myself that worrying about these things is simply proof that I care deeply- which probably means I am actually doing alright. 3. You work from home... and you're raising four kids. How do you manage it all? Does the elusive "balance" actually exist? Hahaha well, sometimes it feels more like surviving than managing, but we make it work. I honestly don't know if true balance exists. Balance makes it seem like you could hold everything at once in your hands without dropping anything, and for me at least, that just seems overwhelming. Juggling seems a more apt description. In addition to having three boys (in three and half years! ), a newly mobile toddler, and a job, I also volunteer at the kids' elementary school, coach soccer, and run a nonprofit organization. It sounds like a lot (and it is!) and I don't mean to glorify busyness, because I do think having unstructured family time is so important, but each of those things I have piled on my plate bring me so much joy. The best advice I can offer for anyone else with a gaggle of children and a cluttered schedule is just to lower your expectations (sometimes the house is going to be messy, sometimes the kids are going to have a bad day, sometimes you are going to have a bad day- that's ok! ), focus on the things that matter, say no to the things that just don't fit, and do what you need to do to get through the day. 4. 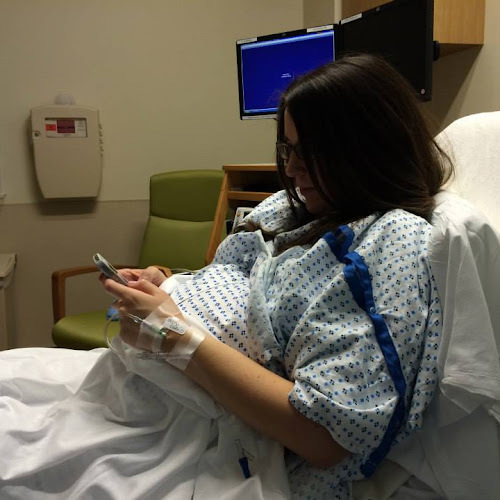 Your first child, Madeline, was stillborn one week after her due date. 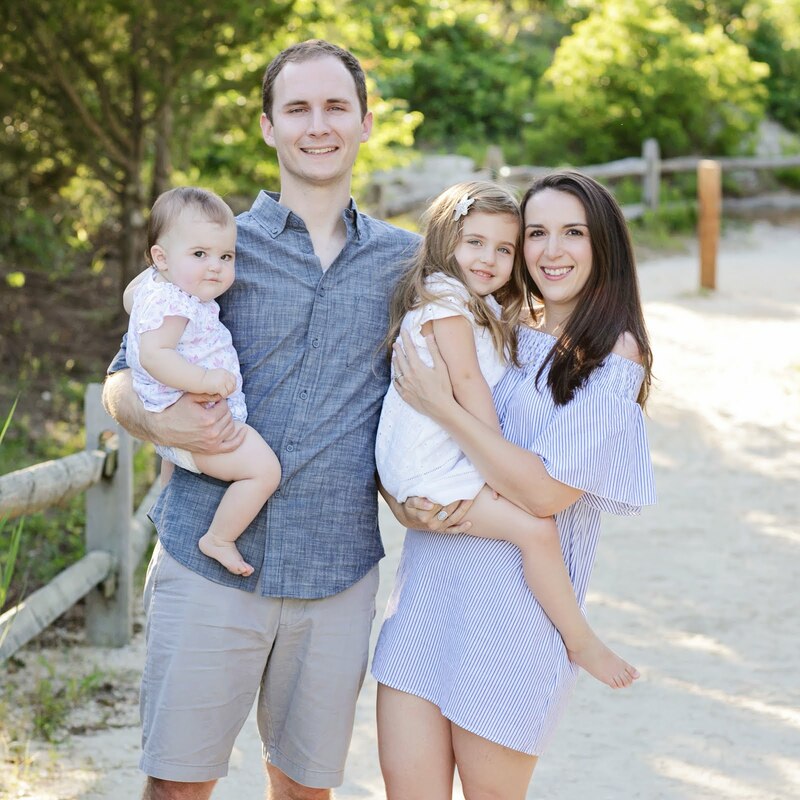 Incredibly, you have channeled your grief to honor your daughter, while helping other parents in similar situations, by founding the Sweet Pea Project. Can you tell us more about the Sweet Pea Project? 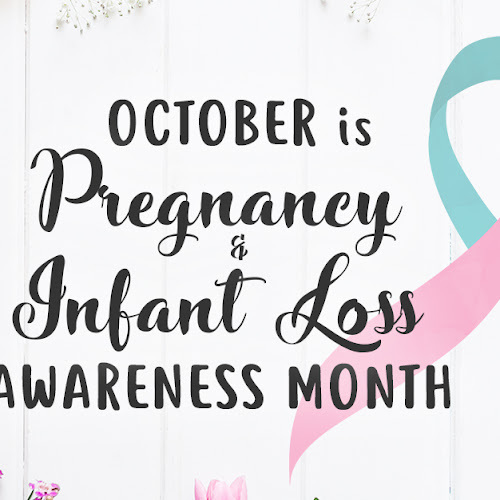 Sweet Pea Project offers comfort, support, and gentle guidance to families who have experienced the death of their baby during pregnancy or infancy. We donate blankets to hospitals in all 50 states, so that when a baby is stillborn or dies shortly after birth, parents are given a soft blanket to swaddle their child in during the short time they spend together. This blanket also serves as a keepsake after they say goodbye, because so often there are very few tangible items to remember the child by. In many cases, our blankets are the only things these babies have ever touched, which makes them so sacred for the parents. We also donate copies of my two books, and hold community events. We have held writing workshops, poetry readings, and art exhibits, but our two annual events are the ones that stand out. In the summer we hold our Sweet Pea Sisters & Brothers Picnic, which offers guests a well deserved day of family fun. And, coming up right around the corner, on October 15 we hold our Remembrance Gathering. This is a quiet, pretty little event where guests can write little love notes to their children on candles, which we float down a daisy lined stream to the sound of a gently strummed guitar as each child's name is read out loud. I felt early on that I never wanted Madeline to be the reason I was broken, or unable to live a full life. She was the most beautiful thing that had ever happened to me, and I could not allow her legacy to be the destruction of her mother. Instead, I wanted to focus on helping others and building a community where families were able to honor the full truth of their families- embracing both their living children and the ones who had died. It has been inexplicably beautiful and humbling to watch as that delicate little dream came true over the last decade. It makes me feel like I am still mothering her- mothering her memory- in an important way. 5. You are the author of two books: Still. (2010) and to linger on hot coals (2014). What inspired you to create these books, and who do you hope reads them? I wish nobody ever had to read them. But unfortunately, one out of every four women will experience the death of a baby during pregnancy. Those bereaved mothers and the fathers who need to know that they are not alone in this, their families and friends who seek a better understanding of what their loved one is experiencing, and the medical professionals who need an inside look at what their patients go through outside of the physical components that they are tending to- these are the people that I hope find their way to my books. Especially to linger on hot coals, because there are so many voices contained in that collection. My hope is that one of those voices speaks directly to the broken heart of whoever is flipping though the pages, and that somehow, in some small way, it helps make the world slightly less heavy for that one moment in time. 6. What would you tell other women who feel compelled to create something -- whether it be a book, a piece of art, a nonprofit, or something else -- but don't know where to start? The best advice I can give is to just do it. Sit down and create it, or stand up and fight for it, make it happen. If you sit too long with the details and to do lists, you can get overwhelmed and anxious. Just run at it full steam ahead while the fire is still burning, and the rest will fall into place along the way. And ASK FOR HELP. Surround yourself with people who believe in you. None of the things that I have done would have been possible without the strong support I received from people who love me. My husband has always been great with just going along with my ideas, probably because he knows I cannot be stopped anyway. And my friend Beth, who is my counterpart in all things Sweet Pea Project, is wonderful at saying yes to even my most feverish ideas, and then sitting down to figure out what needs to be done to make them actually happen. 7. You are no stranger to hardship or loss. You were diagnosed with a congenital heart defect as a small child that continues to affect your life each day and for which you have undergone multiple serious operations, and your father passed away when you were in your early twenties. How have you faced the challenges and times of heartbreak that have come your way? Where do you find your inner strength? I allow myself to experience it all with complete honesty. I feel like, in our culture especially, people are so quick to want to help you heal, to put the sadness behind you and move on. I understand that the desire for that grows from love- nobody wants to see someone that they love struggling in agony and despair- but sometimes you just need to sit with that sadness, acknowledge it, experience it, allow it to be. If you just push it down or ignore it, true healing is never going to be attainable. And when I speak of healing, I don't mean a magical type of healing where you end up feeling "all better" at last. I mean the real kind of healing, where you have to relearn how to walk and the scars remain etched into your skin forever, and sometimes it aches a lot when it rains, but you have grown accustomed to it, and you have reinvested in the world, and you feel lucky to be here, living this life with contentment and gratitude. 8. You have also experienced much joy -- the greatest of all being motherhood. What's your favorite thing about being a mom? I don't know that I could nail that down to just one thing- or even just one paragraph. As exhausting as parenting is, there really is nothing in the world that could have fulfilled me more. I have loved every stage so far. There is nothing better than holding a brand new person who you grew from scratch inside your body. And there is nothing better than hearing that little person start putting silly strings of words and actions together. Last week my 1 year old took off her shorts, handed them to me, and said, "I don't want to pants." I love it. There is nothing better than adventuring with your kids as they get older. My 9 and 7 year olds and I went zip lining and did a high ropes obstacle course together last week. It was fun and challenging and such a cool thing to do together. And there is nothing better than sitting with my incredible old soul 10 year old and having deep discussions about everything under the sun. His brain and compassion and ability to understand the world amaze me. I could go on and on about everything I love and appreciate about journeying through life with these people. I am so very lucky. 9. You are an activist. Tell us which issues you are most passionate about and what you do to work toward change. Are the kids involved? And if so, how? I realize how lucky we are, and that we did not earn it. And I think democracy only works when the people get involved. There have unfortunately been a plethora of things to stand up against lately, and I have brought my children along for all of them. I think it is part of my job as their mother to not shield them from the truth, but also not scare them, so we have lots of long talks about everything and I let them ask questions. Truthfully, though, I think it comes a lot easier to children than it does to adults. They don't get bogged down in the politics behind things, they can clearly see what is the right thing to do without worrying about the red-tape involved. They have a lot less questions than you might think. And they make signs that are profound in their simplicity, and prove that they just get it. The last protest we went to was for family separation. It was insanely hot that day, and my husband was out of state for the weekend, but I couldn't not go. I packed up the kids and our signs and we went out there to sweat together, because if those were my children being ripped from my arms, I want to believe that others would take to the streets for us. And I think it is important for my kids to see that, the crowds of people standing together as a community, standing up for what they believe is right and good and necessary. It shows them that even when things are happening that seem terrible, there are always good people willing to stand up and speak out. It gives me hope. 10. What would an ideal day look like for you, from start to finish? A day spent traveling and adventuring with my family is always my favorite kind of day. We actually had a pretty ideal day just the other Saturday. We had breakfast and then drove out of state to go hiking. We hiked for a couple hours and climbed to the top of a waterfall. Nobody fell in, so that was a little miracle right there. Afterward we went to a brewery on a farm. They had a food truck and a bunch of goats and those pretty dangling lightbulb lights and a fire pit and tons of space for the kids to run around. We were able to be entertained and relaxed at once- which I would say is probably as good as it gets when you have four children. The kids read in the car the whole way home (I am so lucky to have kids who are such great travelers because we do a lot of long trips in the car) and when we got home it was late and raining, so the kids all went to bed and Richy and I ordered in Chinese food and played Mariokart, our classic stay in date night. Feeling inspired and a bit in awe? Me too! Thank you, Steph, for so openly sharing yourself with us -- I know every one of us is better for it. If you'd like to learn more about Stephanie and the Sweet Pea Project, please visit www.sweetpeaproject.org. Click here to check out Stephanie's book Still. and here for to linger on hot coals. AND if you're within driving distance to Lititz, PA and would like to register to attend (free!) the Sweet Pea Project's annual Remembrance Gathering on October 15th, click here to register. Oh wow. Stephanie has been through a lot and she is pretty amazing. I can totally see why and how she inspires you. The sweet pea project had me in tears. One of my best friends daughter died a day after she was born and I wondered if your friends project/company donated the blanket to her. So incredible. Jen, that is a very inspiring interview with Stephanie. I love her personality and her great family. How generous of them to donate blankets in all 50 states. I was so inspired by your idea that I started bloggers interview to get to know them better on every week. The first one I featured, is Diane Henkler form In my own style. You are doing so great. Please stay connected. I am blessed to meet people like you through blogging.